Malawi’s import of 100,000 metric tonnes of maize from neighbouring Zambia has caused a storm which is refusing to calm down in both nations, according to media reports. Senior politicians and bureaucrats in Malawi and Zambia are under fire over their controversial handling of $34.5 million maize deal. The scandal is in the limelight after privately-owned The Daily Times of Malawi alleged possible irregularities during a government purchase of 100,000 metric tonnes of maize from Zambia. According to the paper, Malawi’s state-owned grain marketer, the Agriculture Development and Marketing Corporation (ADMARC), purchased a consignment of maize for $34.5 million from a private company instead of buying the maize directly from the Zambian government at $21.5 million. Malawi has been importing maize from neighbouring countries to feed 6.5 million of its citizens who are in need of food aid. Following the scandal, the civil society organisations have asked the Agriculture Minister Dr George Chaponda and ADMARC chief executive officer Foster Mulumbe to resign to pave way for investigation. But Chaponda has refused to resign from his position charging that he would weather the storm. He told Zodiak Broadcasting Station that his only involvement was in early December when he met Zambia leader Edgar Lungu to discuss the status of the deal, after Lusaka announced that it had banned maize exports. “When I was minister of foreign affairs, they said I should resign because I was traveling too much. When I became minister of agriculture, I should resign because I went to Mexico. Now there is this Zambia issue. They will keep on talking, but for me, I will never resign,” he said. The Daily Times on Jan. 6 reported that Chaponda is being economical with the truth. The paper reported that Chaponda had been to Zambia more than twice including in May, October and December and hence his explanation that he was not at the centre of the maize procurement scandal was a lie. On its part, ADMARC officials obtained a court injunction restraining the paper from further reporting on the maize imports. Despite the injunction, the paper continues to report on the scandal from new perspectives. Malawi’s president Peter Mutharika has set up a commission to probe the maize import deal, in which one of his close political allies (Chaponda) has been named. The storm about the maize gate is not only haunting Malawi government as authorities in Zambia face similar pressure. 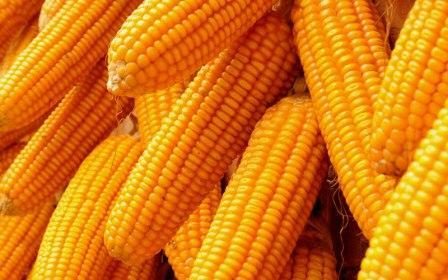 The opposition United Progressive Party (UPP) in Zambia claims to have evidence of corruption in maize export deal. A statement posted on Lusaka Times website by opposition UPP leader Saviour Chishimba details how the deal which was supposed to be between the two state companies involved intermediaries. He called on the Zambian government to probe the matter. “I once again challenge President Edgar Lungu to intervene and correct the wrong impression that the transaction was between the Government of Zambia and Malawi. This was a purely private sector driven transaction. “The involvement of government at this stage is meant to loot public resources. It is an act of greed by the selfish public officers who have transformed government into a cash cow for fast-track wealth,” observed Chishimba, according to Lusaka Times. While both governments have denied involvement of intermediaries in the deal, the concerned private company has sued state-owned companies in the two countries. In a story titled Kaloswe sues ZCF, published in Daily Nation, the private company that was set to make US $13 million in the deal has sued the Zambia Co-operative Federation (ZCF) for breach of contract for failing to supply the maize. Kaloswe Commuter and Courier Limited is accusing ZCF of failure to supply of 100, 000 metric tonnes of maize meant for export to Malawi despite receiving full payment for the consignment in the sum of US $34.5 million. According to a statement of claim filed into the Lusaka High Court, Kaloswe Commuter and Courier Limited chief executive officer Isaac Kapambwe said his company entered into contract with ZCF for the supply of the said quantities of maize at a unit cost of US $215 per metric tonne at a total contract sum of US $21.5 million. The lawsuits state that PTA Bank had already transferred US$34.5 million on behalf of Admarc to ZCF. Kaloswe argues that ZCF was only supposed to get US $21.5 million for the 100, 000 tonnes of maize supply to Kaloswe based on the contract, and release an excess of US$ 13 million to Kaloswe Commuter and Courier Limited. He has since applied to the court for an order of interim injunction to restrain ZCF from spending, transferring, administering or dealing with the said US $34, 500, 000.00 paid into its account by the PTA Bank as per contract before determination of the matter. Malawi is notoriously known for high corruption scandals. Just at the moment the opposition and the civil society are pressing the government to decisively deal with $310 million scandal. It is alleged that some cabinet ministers are implicated in the scandal but Mutharika administration has denied such claims. In 2013, Malawi was also in the negative limelight after it was revealed that politicians, bureaucrats and some contractors had looted $32 million from the Treasury in a scandal called cashgate. Just like Malawi, increasing corruption is wreaking havoc on the Zambian economy, as the payment of bribes has reached the level of 78 percent in 2014, according to research by Transparency International. The 2014 Bribery Payers Index, compiled by the Anti-Corruption Commission in Zambia with research by Transparency International, showed that demands for bribes increased by 6.7 percent in 2014 compared with 4.7 percent in 2012. Transparency International Zambia (TIZ) Chapter President Lee Habasonda once said the rising corruption is harming the country’s economy. He said corruption accounted for more than 10 percent of government spending, with kickbacks demanded for government contracts and bribes paid for other services.